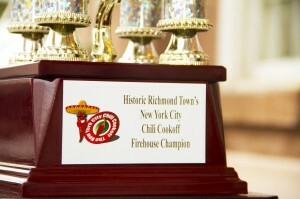 On one very chilly afternoon, hundreds of brave Staten Islanders came out to try some of the best chili in the region. Despite the weather, people everywhere were enjoying a great variety of chili and salsa prepared by the local cooks. The flavorful aroma filled the air and set the mood for this fun event at Historic Richmond Town. In my opinion, this is one of the best food festivals in Staten Island, so if you missed it, make sure to come and experience it for yourself next year.